A Heritage Walk and exhibition resources to present and explain Manchester's historic Tudor manor house, Hough End Hall, as part of our plan to bring it into community use. This appeal is to fund our work on promoting the historical heritage of the Hall to the community, through a Heritage Walk, book, exhibitions and electronic resources. We are working to secure Hough End Hall for the benefit of the local community now and for future generations. Our vision is build a local community hub, creating a vibrant and welcoming space for a wide range of people to meet, mix, work and play. We might not get the Hall on our first attempt but we are laying the groundwork for its future role as a community and heritage resource where a wide variety of people can meet, mix, work and play. and working with the local community on the establishing and mapping the need for the kind of space we envisage. Publish an illustrated book about the Hall. Develop a mobile exhibition all about the Hall, its history and its role in our community project. Develop electronic supports for these materials: ebook, mobile app for the walk and virtual exhibition. Devise a signed Heritage Walk in the local area telling the story of the Hall, the estate, community and industry. This call is part of our campaign to bring Hough End Hall into use as a community and heritage resource. But it doesn't depend on getting the Hall on our first attempt. The heritage resources it funds will be free standing, while keeping alive and building support for our vision of the Hall as a resource for the people of Chorlton and South Manchester. A lack of accessible and affordable space for community meetings, exhibitions, rehearsal and social events & for small, community-orientated enterprises, particularly start-ups. An empty Hough End Hall which has had an unfortunate history since a 1960s restoration when it was hemmed in by modern office blocks. This appeal will bring the Hall back into the awareness of people in South Manchester and beyond through the materials we develop, and if everything goes well, it will be part of the foundation for an exciting project in the heart of our community, looking forward while celebrating our history. The book will be available in both electronic and print versions. The Heritage Walk will have interpretation boards, signage, map, web page and mobile app. to guide people. Develop a Heritage Walk through Chorlton, explaining the evolution of the Hall and manorial estate, up to today. Establish a mobile exhibition about the history of the Hall and our project to reclaim it for the community. Write and publish a book: “Hough End Hall: The Story” by local historian Andrew Simpson and artist Peter Topping. Our ethos is to encourage as many people as possible form all walks of life to participate in the activities and the future of the Hall; to help build a sustainable community in Chorlton and the surrounding areas of south Manchester through the shared ownership and use of HEH, and to reduce the environmental impact of the building through working to install energy saving features, and by encouraging users of the building to reuse and recycle, and use the excellent public transport routes whenever possible. This crowd-funding call is not dependent on our successful purchase of the Hall. It will pay for those things that we could still do if we were not successful, building a groundswell of support for a potential future opportunity to obtain the Hall. At the same time this call will contribute as match funding to our application to the Heritage Lottery Fund. There will be rewards for doners, depending on how much you pledge. Details will be posted on our website. Heritage Walk: Display Boards, Signing, Mobile App, Guide leaflets. Mobile exhibition: Creative development, design, modular display unit, printing. Electronic support: website for heritage materials with user-generated content. Building organisational capacity (25 days) + other professional fees. 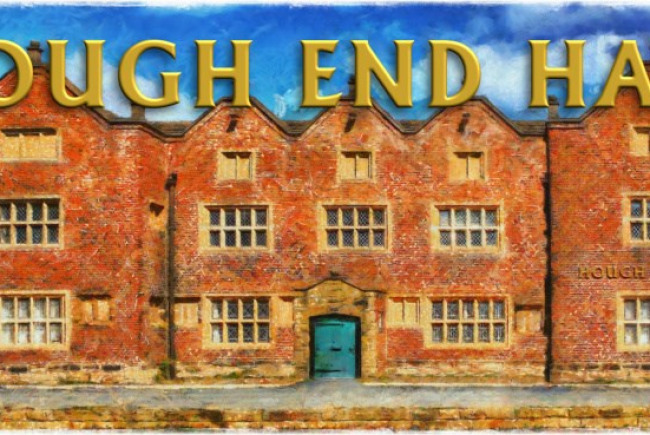 Book: Hough End Hall: The Story" Permissions, printing & publishing, launch event, distribution. Who are the Friends of Hough End Hall? Friends of Hough End Hall is a new, resident led community association, serving the needs of residents of Chorlton and the surrounding areas of south Manchester. Our purpose is to contribute to the quality of life and sustainable regeneration in south Manchester through the use of Hough End Hall (HEH) as a resource for the community . Our vision is build a local community hub, and create a vibrant and welcoming space for a wide range of people to meet, mix, work and play. In order to do this we aim to rescue, restore and reinvigorate Hough End Hall (HEH), a key historic building and a unique example of a Manchester red brick Tudor manor house. We have incorporated as a charitable limited company and are currently in the process of applying for registration as a charity. 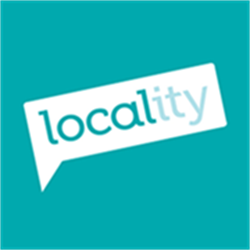 Supporting membership is open to all living or working in Chorlton and the surrounding areas of south Manchester, as well as from wider afield. Project Delivery Manager: Friends of Hough End Hall The Project Delivery Manager takes legal responsibility for receiving and spending the funds raised and ensuring the project is delivered. Contractor: Can Do Communities The team responsible for building or installing the project.